Big Boy restaurants—home to double-decker cheeseburgers, tasty fries, and the iconic suspender-clad Big Boy—opened in California in the 1940s, but they soon became a beloved Wisconsin tradition. The Marcus Corporation opened the first Milwaukee Big Boy in 1958, and eventually operated more than 60 locations throughout the Midwest. The last remaining Wisconsin Big Boy closed in 1995. Now, nearly 25 years and one Milwaukee Record trip to a Michigan Big Boy later, AJ Bombers has announced it will pay homage to the once-mighty burger chain. During the week of April 8-14, both AJ Bombers locations (1247 N. Water St., Milwaukee; 1130 W. Burleigh St., Wauwatosa) will serve up a special rendition of the classic Big Boy burger. This on the heels of AJ Bombers recent “Bernie’s Bombers” promotion. Big Boy holds a special place in Milwaukee’s heart — and in the heart of AJ Bombers. Marc’s Big Boy debuted in Milwaukee in 1958 and continues to garner a nostalgic obsession from Milwaukeeans to this day. AJ Bombers will honor and feed Big Boy lovers with its own rendition of the classic Big Boy burger for one week only (April 8 – April 14). 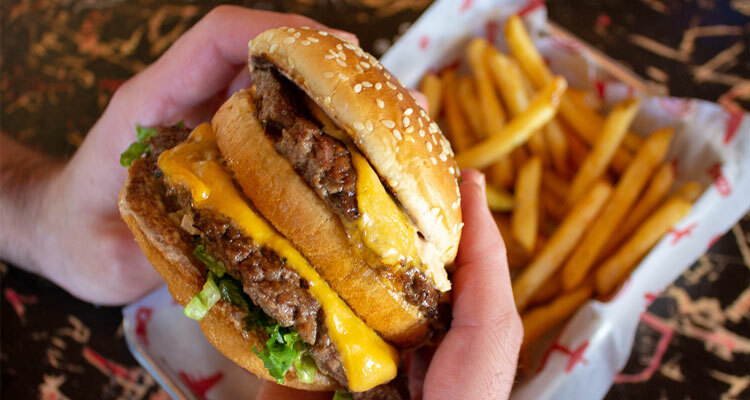 AJ Bombers, celebrating its 10th anniversary this year, was founded on the idea that the best burger concoctions come from the guests themselves. When AJ Bombers caught wind of beloved Marc’s Big Boy memories in the community, they realized it was time to bring the Big Boy back to Milwaukee. “I was inspired by thousands of users that joined the Milwaukee Remembers Big Boy Facebook group and I’m proud to pay tribute to my Grandfather and Dad that built and ran Marc’s Big Boy for many years here in Milwaukee”, says David. AJ Bombers will serve their take on the Big Boy Burger from April 8 – April 14th. AJ Bombers is located at 1247 N. Water St., Milwaukee and 1130 W. Burleigh St., Wauwatosa.